This soft and cuddly grey elephant comes complete with a cotton romper set, all ready for bedtime! 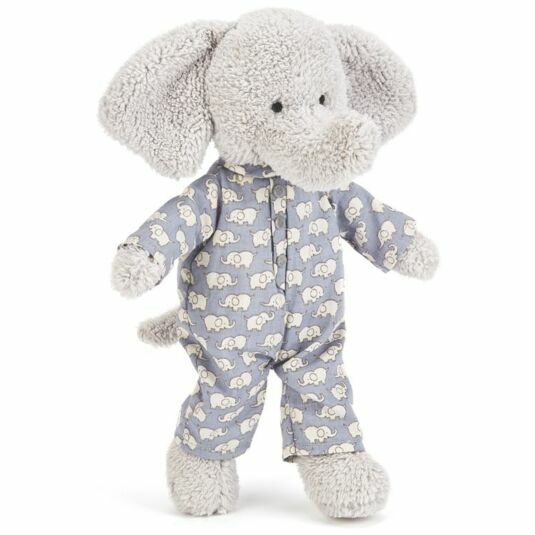 The little elephant is made of soft, strokeable pale grey fur, and the romper suit is blue and grey, with a pattern of happy elephants all over it. His tummy and feet are full of something that feels good to squeeze, and this bedtime companion is small enough to travel wherever your child goes.